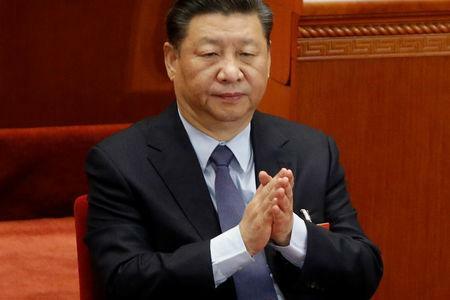 BEIJING (Reuters) - Misunderstandings over China's Belt and Road Initiative (BRI) are "hard to avoid", a senior Chinese diplomat said on Wednesday ahead of a trip to Europe by President Xi Jinping during which Italy is set to join the multi-billion dollar trade scheme. Italy has angered its EU partners by planning to sign infrastructure deals with China, pushing itself as a big backer of the initiative at the heart of Beijing's foreign policy strategy that is Xi's signature diplomatic and trade push. "I think anything new will have a development process," Vice Foreign Minister Wang Chao told a news briefing when asked about recent controversy in Italy over the accord to be signed this month. "It is hard to avoid misunderstandings occurring during the process of advancing the construction of the Belt and Road. Of course, the facts are the best proof," Wang said. Italy, which is expected to send a high-level delegation to the second Belt and Road summit in Beijing in late April, will be the first stop on Xi's tour from March 21 to 26 that will also take in France and the tiny principality of Monaco. With ports that offer easy gateways into Europe's richest markets, Italy is a promising and prestigious prize for China. Asked about China's possible investment in a port in Italy, Wang said investment decisions by its companies would be based on market conditions. Italy's drive to be the first Group of Seven industrialized nation to join the ambitious venture has upset Washington and alarmed Brussels, raising fears of a sellout of sensitive technology and the handover of critical infrastructure. On Tuesday, Conte said the commercial and economic deals he will seal with China have no implications for Italy's geo-political position, in a bid to reassure the European Union and the United States.